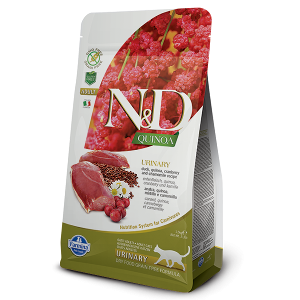 Duck, quinoa, cranberry and chamomille. 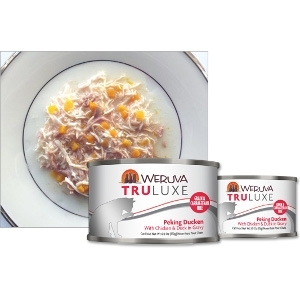 Tuna and Threadfin Bream provide complete, high-quality protein and essential amino acids in this flavorful recipe. 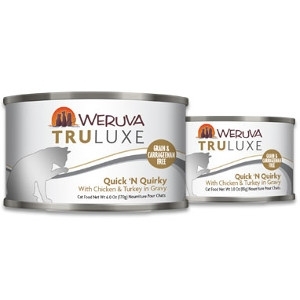 Low in Saturated Fat, high in Vitamin B6 and Phosphorus, it’s an excellent source of Vitamin B12, Omega-3 and Omega-6 fatty acids, and a complete spectrum of vitamins and minerals. **Rich in animal protein and essential amino acids thanks to a hearty helping of Boneless Chicken, along with fiber rich Vegetables. 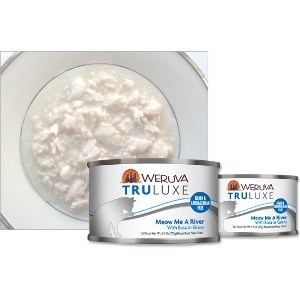 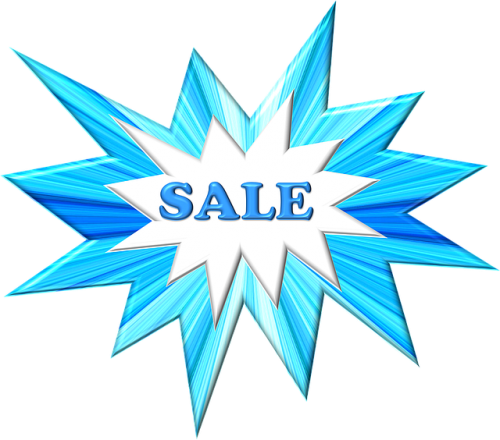 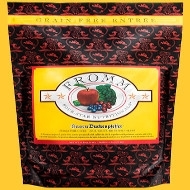 Low in Sodium and high in Vitamin B6, Phosphorus, Niacin, and Selenium, our recipe provides both Omega-3 and Omega- 6 Fatty Acids, and a complete spectrum of vitamins and minerals. 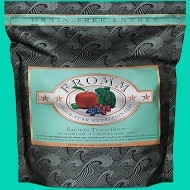 Loaded with complete, high-quality protein and essential amino acids thanks to a hearty helping of Boneless Chicken, with the added flavor of fiber-rich Sweet Potatoes. Low in Sodium and high in Vitamin B6, Phosphorus, Niacin, and Selenium, our recipe provides both Omega-3 and Omega-6 Fatty Acids, and a complete spectrum of vitamins and minerals. 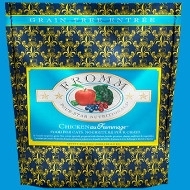 Our Market Fresh recipes are created with the freshest and finest ingredients. 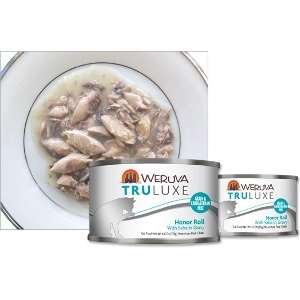 Like Salmon & Chicken, which provide complete, high-quality proteins that are an excellent source of Vitamin B12, Vitamin B6, and both Omega-3 and Omega-6 Fatty Acids. 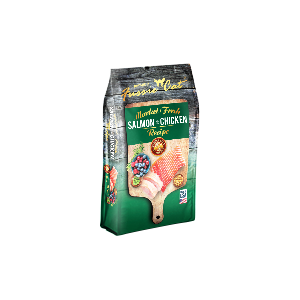 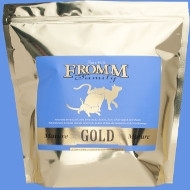 Not only are Salmon and Chicken the first ingredients in this Market Fresh recipe, they’re also extremely palatable for felines. 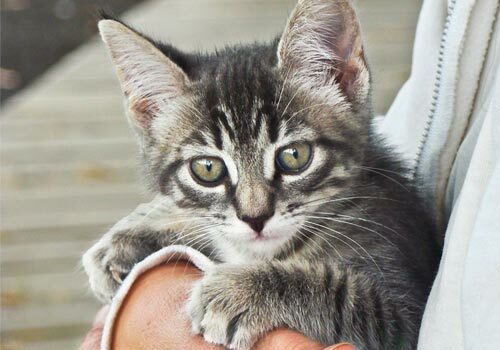 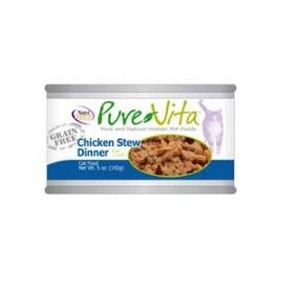 Pure Vita™ Chicken Stew Dinner Cat Food is formulated to meet the nutritional levels established by the Association of American Feed Control Officials (AAFCO) Cat Food Nutrient Profiles for all life stages. 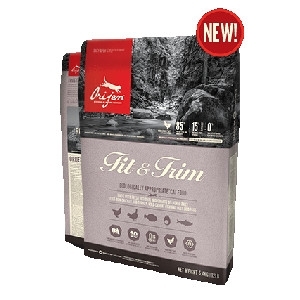 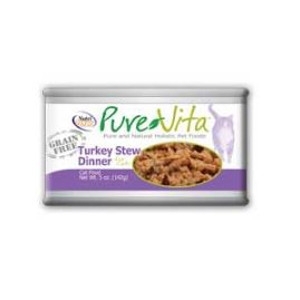 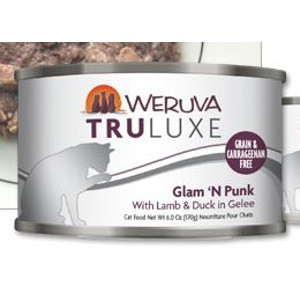 Pure Vita™ Turkey Stew Dinner Cat Food is formulated to meet the nutritional levels established by the Association of American Feed Control Officials (AAFCO) Cat Food Nutrient Profiles for all life stages. 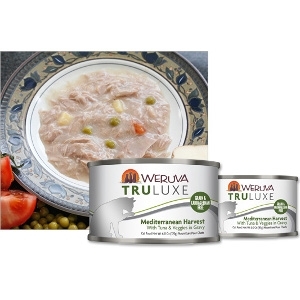 Wild caught pink salmon in gravy. 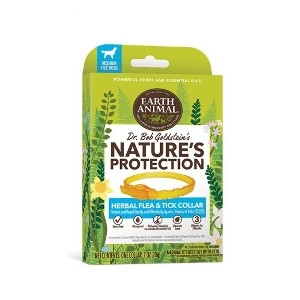 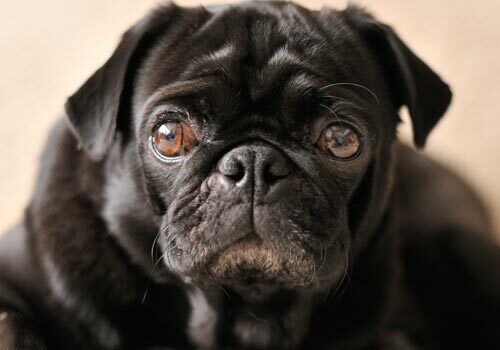 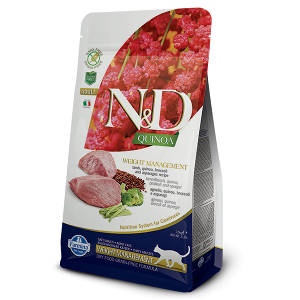 Loaded with Omega-3s for healthy skin and coat. May your princess be Pretty In Pink… and don’t forget, real princes wear pink too!